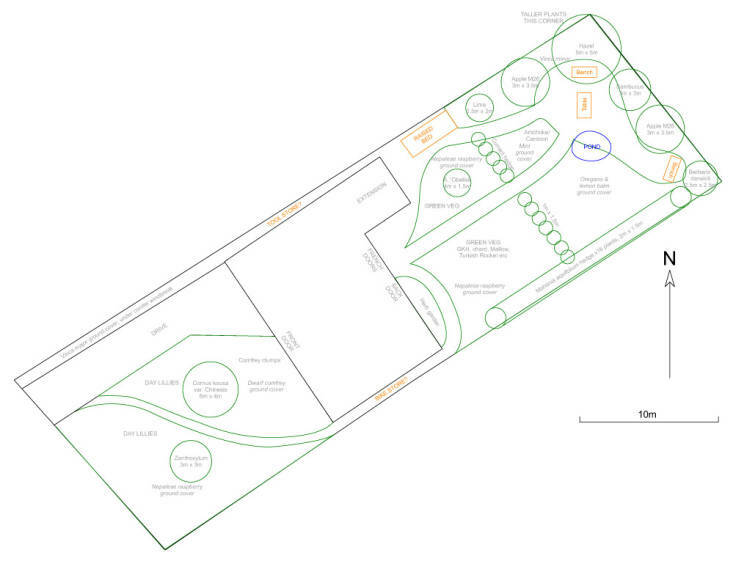 Now offering remote forest garden design service! Very happy to announce I’m now offering a remote forest garden design service. 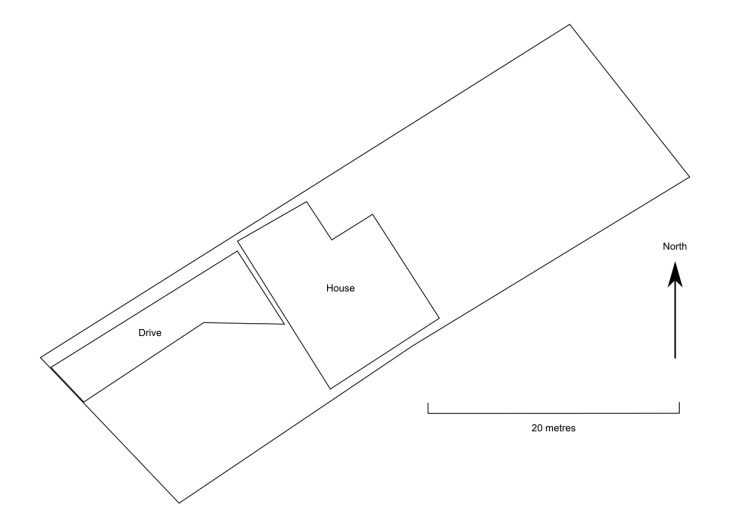 Using email and Skype, I can create an outline forest garden plan for only £100. Many people would love to create a forest garden but don’t know where to start. I always recommend Martin Crawford’s Creating a Forest Garden book. 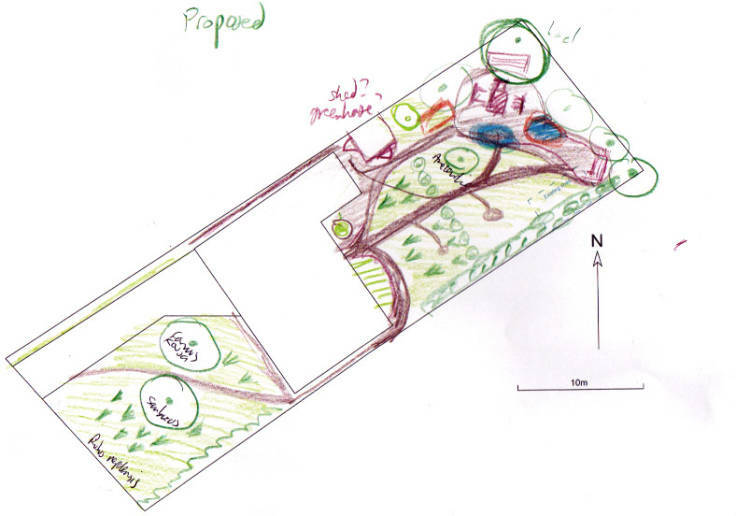 If you need more help, I can create a forest garden plan, and I can do it remotely with email, photos and Skype. You’ll need to measure your house and garden. It may also help to measure other features, such as ponds, paths and existing plants. 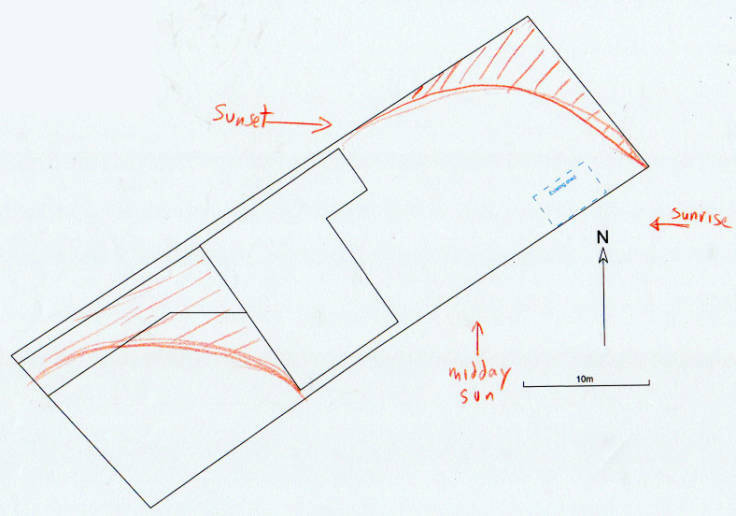 Then, by the magic of email, let me know the measurements and I will make the plan more accurate. It also helps a great deal to have a series of photos of the garden from different angles. 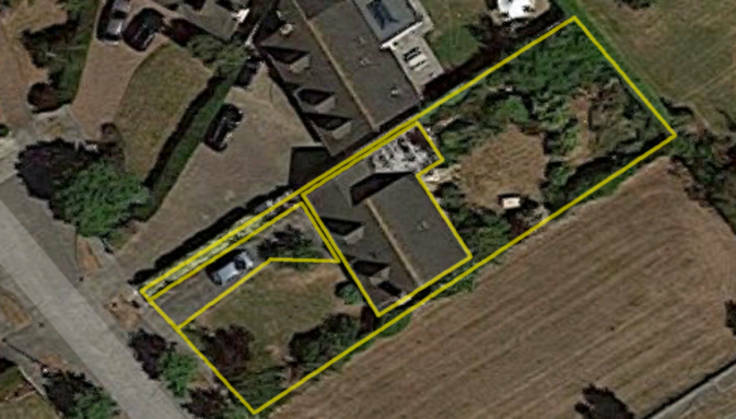 You also can do this yourself, using an app like Sun Surveyor on your mobile phone. 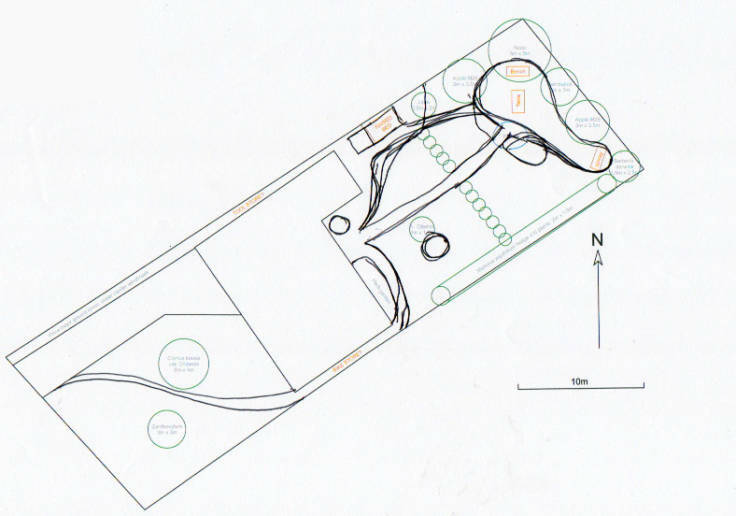 All this leads to the final forest garden outline plan, which I create using QCAD free software and which I email to you in CAD and PDF format. The whole process takes about 2-3 days and costs from £100. The initial Skype call is always free!